The thought of having someone with a criminal background in your workplace might seem like a scary situation. But more and more, today’s reality may be that you will hire, or have already hired, an ex-offender (or more than one). By one estimate, 70 to 100 million U.S. residents—or as many as one in three Americans—have some type of criminal record, not counting the 2.2 million currently in prison. Many (maybe most) of the convictions are for “minor” crimes, but the fact is that these people have a criminal history that may very well show up in a background check. The most recent unemployment rate of 5.3% is very close to the 5.2% that the Federal Reserve considers “full employment.” At full employment, employers’ options begin to be limited at the same time workers gain bargaining power. Full employment generally means that most of the best-qualified workers are already working. The proportion of ex-offenders in the unemployed, looking for work category very likely increases. Some ex-offenders have received a lot of training in job-specific skills in prison programs, or have participated in post-release programs to prepare them for the workforce. The implication is this: Employers who want to find workers may have to consider hiring or even seek out the opportunity to hire ex-offenders who are otherwise qualified. Consider the example of Dave’s Killer Bread which claims that some of its best employees served time behind bars. Writing from his UK point of view, Richard Branson reports a number of programs that have helped employers find success this way. Plus, there is always the possibility for U.S. employers that hiring ex-offenders in targeted groups will provide a tax break. Hiring ex-offenders means that the pre-employment background screening has to include research on job-related experiences and qualifications that may have occurred before, during, or after incarceration, or while the applicant was on parole. Research into these individual factors will help when you are faced with a shrunken labor pool and the only option facing you is to choose between ex-offenders. Plus, looking at individual factors is consistent with best practices for compliance with employment law. 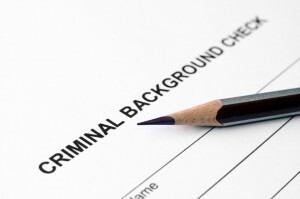 Despite this, there are employers who respond to the finding that a person has a criminal background with an automatic exclusion from employment. This “blanket” exclusion policy is a dangerous gamble: the Equal Employment Opportunity Commission has sued many companies over the past five years for employment policies like this. Chances are good that you will encounter ex-offenders in your applicant group. And while not every position or every company will be suited to take the inherent risks or certain criminal histories, with some clear-headed research to manage your risk, you can be positioned to hire one of them. You may even find that they turn out to make very good employees.